Golden Goat address, phone, website, hours of operation, and more. 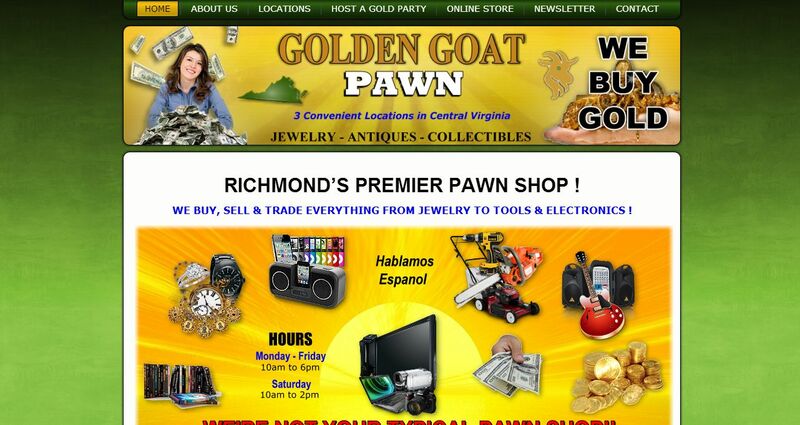 Golden Goat Pawn Shops in Richmond Virginia is your number one choice for buying, selling and trading items of value in Central Virginia. With 3 locations in the Richmond area, there’s a location near you with a helpful, friendly staff waiting to serve you. 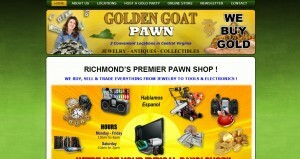 Golden Goat is not your typical pawn shop. Hands down, we pay TOP DOLLAR for your precious goods, and we are committed to our record of GREAT customer service. We buy, sell, and trade everything from jewelry to tools to electronics. If you need it, we either have it already or can find it for YOU!